Get your accommodation right and you’ll up level your holiday experience from day one! I get such a thrill from stepping foot in a beautiful family holiday villa (yes, even if it’s our own – we adore them even after numerous stays!). Attention to detail is crucial; elegant colour palettes, sumptuous furnishings, artistic flair. We take pride in making every French Loaf property an aesthetic gem yet a home away from home. Plus, each of our French family villas is stocked to provide everything you’ll need to ensure big and little kids are comfortable and safe. No need to pack an extra suitcase for all the baby equipment; the right property allows you to travel light – a luxury in itself! I think missing out on all those fine dining experiences you enjoy pre-child has to be up on the parenthood ‘cons’ for most couples. Though we think luxury dining experiences don’t need to be reserved for adults-only. Treat the whole family to fine dining on holiday (maybe pack some in meal entertainment just in case?) and enjoy the fun of traditional cuisine and new wines! Worried about the noise of young ones amongst the more distinguished crowd? Take a seat outside. 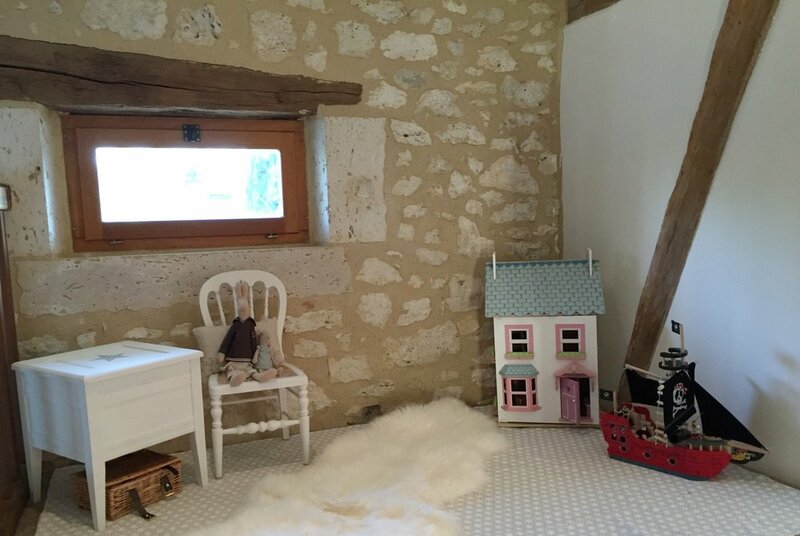 Here you can enjoy the views of rural French landscapes or historic city quirks, and expect your children to be a little calmer out in the open air. If they’re not? Being outdoors among the background noise of birdsong or street bustle, you’ll feel slightly less pressure to shush them! If a fancy-pants restaurant doesn’t appeal, there’s always a decadent family picnic to try. Explore the stunning scenery of Dordogne, pop down a cashmere throw, and settle down with a fresh French loaf and accoutrements. A holiday is a perfect excuse to treat yourself to the luxuries you toy over back home. Remove the pressures of the daily grind and book yourself a team of professionals to cater to your families’ whims. At French Loaf, we know how hard you work outside of your holiday periods, which means we want you to feel completely indulged and rewarded on your stay with us – it doesn’t matter if you’re booking a weekend break or a week-long holiday. You can spoil yourself with everything from a ready-filled fridge (hurray, for no dreaded ‘food shop’) or personal chef, to in-villa beauty treatments and housekeeping. Peace. It’s such a luxury as a parent, isn’t it? Of course, a family holiday isn’t complete without the clamber of sweaty headed children and the squeals of swimming pool escapades… but sometimes, silence is bliss! And it shouldn’t be limited to post-bedtime hours. Enjoy the luxury of quiet by booking professional childcare (which we can connect you with) to use how you wish. Stay home and lounge around the pool while they’re entertained indoors or head off for a leisurely lunch with your partner. 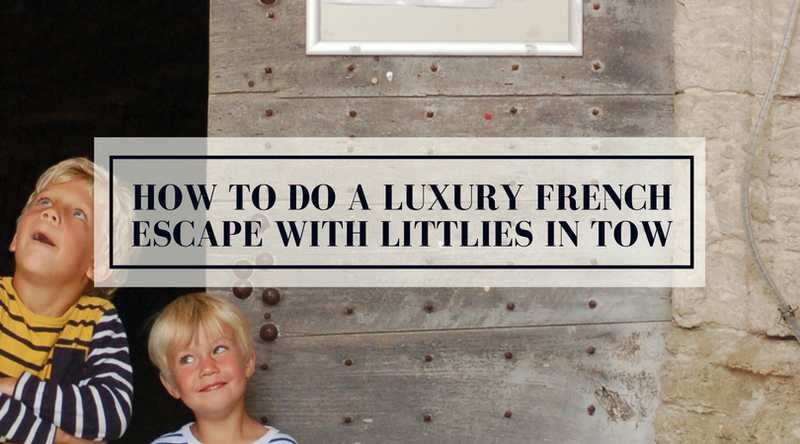 Yes, luxury can be achieved with little ones in tow – but isn’t it marvellous when we get a little grown-up luxury time too? Sign up to get our FREE ultimate stress-free packing guide and be first to receive our monthly news, inspirational tips, special offers and invites! Thank you very much for signing up, please check your Inbox to get your FREE download. © 2017 French Loaf. All rights reserved. Website by Michaela Olexova.